You have a unique party theme and can’t find hats to match, you can use paper plates make party hats. 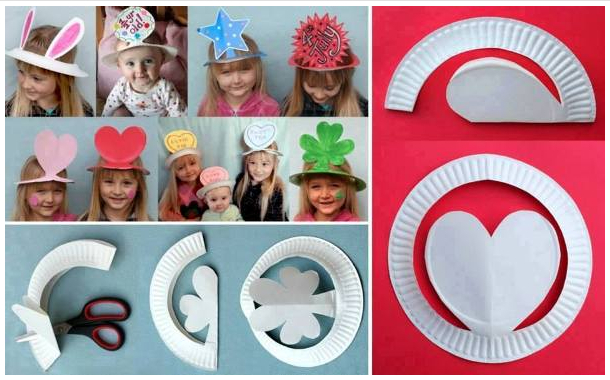 These simple paper hats can be decorated by kids at the party. Your child will love it! First, fold paper plate in half. Then, draw or use template and cut out. At last, open the plate and decorate the hat .